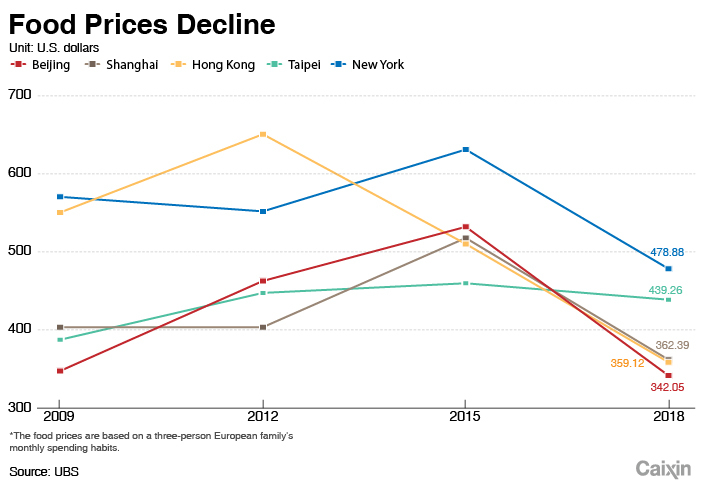 The cost of living in Beijing and Shanghai has become relatively cheaper in the last three years compared with other major cities around the globe, with both cities sliding down the rankings in a UBS survey of living costs in 77 metropolises. In the latest survey, Beijing was the 46th-most expensive city to live in of the places surveyed — down six places from the last report — while Shanghai was in 47th place, dropping 13 places, according to “Prices and Earnings 2018,” released by Switzerland’s UBS Group AG. The survey looks at the monthly living costs in the different cities, based on the monthly spending habits of an imaginary three-person European family. UBS has published the report every three years since 1971. 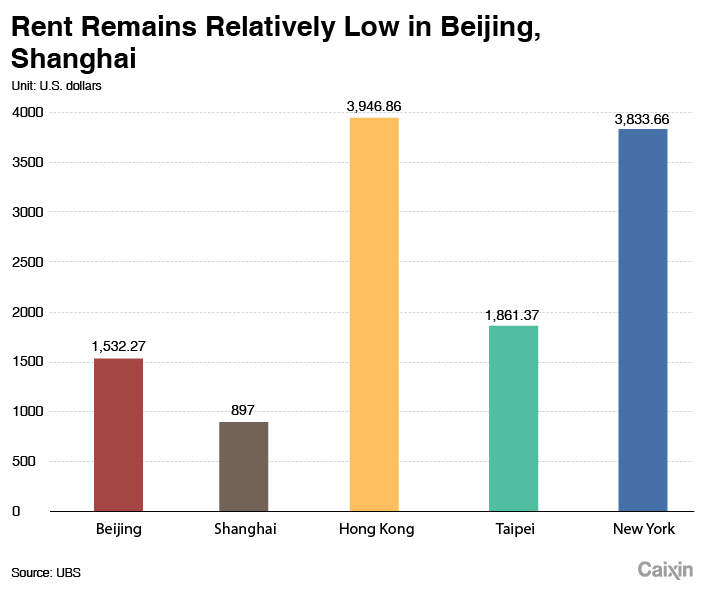 The report says the monthly cost of living — excluding rent — in Beijing and Shanghai are $2,391.9 and $2,391.6, just slightly more expensive than living in the Chilean capital of Santiago. Zurich was the most expensive city surveyed, while Tokyo was the most expensive Asian city in the report. Taipei and Hong Kong were Nos. 32 and 33 respectively, with costs of living around $2,800, the report said. The UBS report shows that the purchasing power of Beijing residents has increased since the last report in 2015, while that of Shanghai residents has declined. 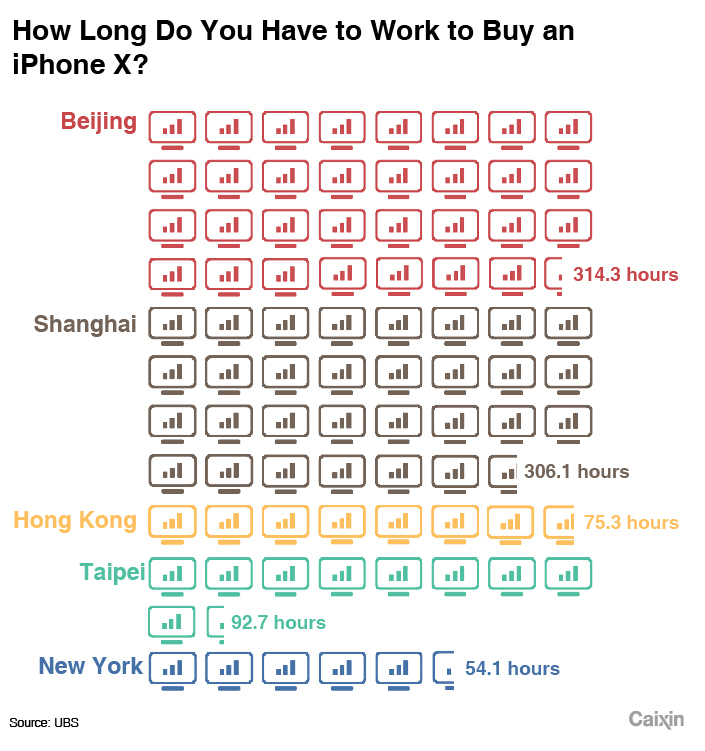 Beijingers have to work for an average of 51 minutes to earn enough to buy a Big Mac, while the Shanghai residents have to labor for 53.4 minutes. New Yorkers have to work for just 15.2 minutes if they want to tuck into the McDonald’s restaurant chain’s signature offering. This puts Beijing in 59th place globally, Shanghai in 63rd and New York in 12th. 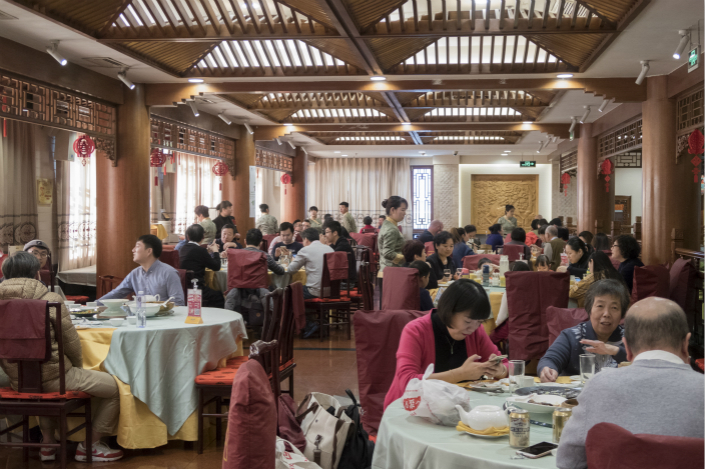 Despite the rankings change, Beijing residents are unlikely to find much joy in this news as many feel under pressure from what they see as high prices. According to the central bank, 43.6% of Beijing urban residents think that the cost of living was “high and difficult to accept” in the first quarter of 2018. Lu Chang, a 24-year-old Beijing native, said that prices have left a bad taste in her mouth. “I think prices are always rising. Five years ago, a ‘jianbing’ (a popular street food similar to a crepe) cost only 3 yuan (47 U.S. cents), but now its 8 yuan,” she said.